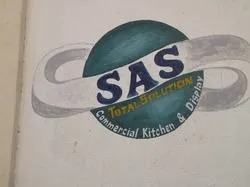 SAS Bakery Equipments was established in the year 1991 as a Sole Proprietorship based business venture at Bengaluru, Karnataka. 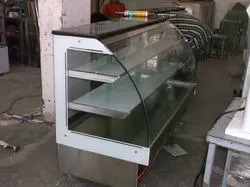 We are counted among the eminent manufacturer, wholesaler and trader of Display Counters, Bakery Equipment, Commercial Kitchen Equipment, etc. We manufacture these products as per the prescribed industrial guidelines. We concentrate on doing what we are best at and we do it all the way, going beyond just selling world class products, by providing a committed after sales service, across all parts of the country. Our valued clients can avail these products from us in bulk quantities at competitive prices. Our experienced professionals use quality tested materials and components in product development process, which are sourced from reliable and trusted vendors of the market. These products are acclaimed and demanded by the clients for their superior quality standards and salient features such as excellent performance, smooth operations, easy installations, less maintenance, robust construction, fine finish, corrosion resistance, long service life and abrasion resistance. Our deft team of talented and qualified professionals enables us to meet the diverse demands of different clients. The relentless efforts of our team members have helped us earn a reputable position among clients. Our manufacturing unit is operational with technologically advanced machinery, which help us produce defect free products in large quantities at a fast pace. The well established distribution network of our company enables us to deliver dispatched products to the clients within the stipulated time frame. Under the direction of our mentor "Mr. V. V. Shaji", we are able to grow by leaps and bounds. His astute supervision over all business related processes has enabled us to design and develop a highly reliable products range for the clients. We are able to carry out our business related processes in a well organized manner, owing to our state-of-the-art infrastructure. It consists of several departments that are outfitted with all the requisite facilities. Our manufacturing unit is installed with technologically advanced machines, which help us develop defect free products for the clients as per the prescribed industrial guidelines. Quality is the concern of utmost importance for us, as we aim to provide high end quality products to the clients. We practice rigorous quality control program in our manufacturing process, in order to develop flawless products. Our experts incorporate high grade materials in the product development process, which are sourced from the reliable and trustworthy market vendors. To be known by the world as a leading organization in our field in quality products,service excellence and providing it effectively to our esteemed customers. 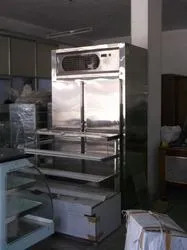 To be the most admired cooling solutions, Display Showcase and Kitchen Machines company in India and the markets we serve, as our differentiators. 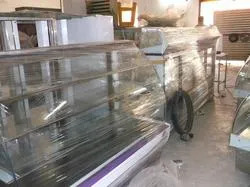 We are able to maintain a spotless track record and goodwill in the market by continuously fulfilling the variegated needs and demands of our valued clients. Our strict adherence to quality standards enables us to out-roll immaculate products in the market. We offer customized products to our clients, in order to meet their precise needs. We ensure that all the products are delivered to clients’ on-time. SAS Groups is an Indian Company with a world view. Our collective experience and expertise, the world''''s nest range of cooling products, display showcase and kitchen machines. 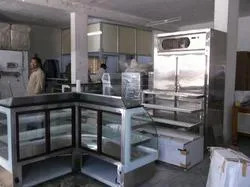 Suppliers of Indian & Imported Display Showcases, Bakery Machinery''''s, Kitchen Machines, Refrigeration Equipments, Cold Rooms, Ice Cube Machines, Pastry Showcases, Water Coolers, Deep Freezers & Coolers, Softy Icecream Machines and Coffee Machines and Many More.